Everyone loves crafting. 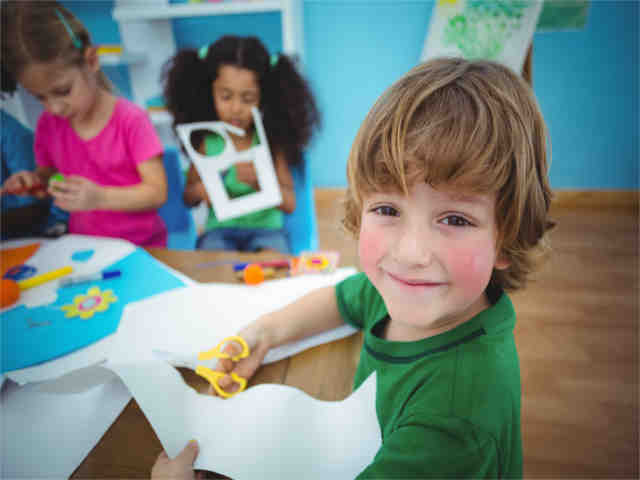 These activities for children with autism create the perfect opportunity for kids to explore their senses through colors and shapes. Craft activities are great for attention, encouraging calming engagement, and having tons of fun. These 7 craft activities are perfect for children on the autism spectrum. Underwater bottles use sparkles and glitter in your child’s water to create a fascinating scene. You can include letters or numbers in the bottle to help your children recognize letters and numbers. The shining and sparkling, swirling around in the bottle is sure to capture the attention of any child. These are the kind of activities for children with autism that your child will love. All you need is small containers like jars or Tupperware, some rubber bands to wrap around the jars, and some fabric. Additionally, gather some ingredients with distinct smells to put in your new smelling station. This is a fun way for your child to explore their sense of smell, as well as focusing on breathing, and the relaxation that goes with pleasant scents. Oobleck is a fun substance that sits somewhere in between the liquid and solid states. When you poor it, it acts like a liquid, but if you squeeze it, it acts like a solid. Your children will love the sensory experience they can get when squeezing and splashing and experimenting. Activities for children with autism like this encourage curiosity in how the world works. Help your kids learn the art of storytelling. You could say that storytelling is the same as painting pictures, except you use words instead of paint. Using the names of paint samples, help your child create a story. The interesting names of paint samples are perfect for inspiring creative stories. These kinds of activities for children with autism is so fun for both of you. You never know what kind of wild stories they’ll come up with! Your children will love swirling their paint over the paper as it melts. With this activity, your child will practice recognizing colors and have fun observing the differences as the paint goes from liquid to solid, and then finally, back to liquid. Your Children will have a blast at their Sensory Table. Here, they’ve got a table designed for feeling all sorts of experiences. They get to squish things, sift sands, sort objects, and dig. This gives your children the perfect opportunity to get messy and explore their senses while playing freely. Many preschools have this kind of table, it’s great for your home too. These activities for children with autism are great for fine motor skills as well as hand-eye coordination. They also get to explore the different surfaces and shapes that letters and numbers use. This activity is sure to be a huge hit with your kid. This is a craft that results in beautiful art using the simplest of things. Your child will love shredding and ripping colored papers to create these beautiful decorations for gifts as well as around the house. Your child will absolutely love the sensory experience of shredding their paper. The opportunities for learning through play therapy are almost endless, but this list offers hours of entertainment for you and your child. Play.Connect.Grow offers lots of training and activities for children with autism to encourage learning through play.